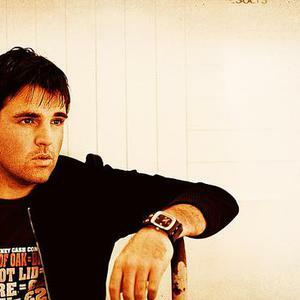 1) Alex Lloyd (born Alex Wasiliev in Sydney, November 1974) is an Australian singer-songwriter. His musical career can be traced all the way back to his teen years when, as a 13 year old upstart, he started playing in pubs with his first band, the blues based The Beefs. After a stint in renowned Sydney indie rockers, Mother Hubbard, Lloyd went solo in 1997 and has since had a remarkable career that has garnered critical and public acclaim both in Australia and elsewhere. After a stint in renowned Sydney indie rockers, Mother Hubbard, Lloyd went solo in 1997 and has since had a remarkable career that has garnered critical and public acclaim both in Australia and elsewhere. His three solo albums - 1999's Black The Sun, 2001's Watching Angels Mend and 2003's Distant Light - have collectively sold more than 500000 copies and following the release of each album he has been awarded an ARIA for Best Male Artist (2000, 2001, 2003). 2000 also saw him win an ARIA for Best New Talent. But Lloyd is more than an accomplished album artist with a penchant for experimentation and an intuitive gift for melody: his now iconic 2001 single, "Amazing" was not only voted Song of the Year in the prestigious, listener voted Triple J Hottest 100 poll in 2001 - it also secured an APRA Award (the songwriters awards) in 2002 for Song of the Year and was also the most played song on Australian radio that same year! Given such heady success it's no surprise Lloyd spent most of 2004 out of the spotlight, savouring the time he could now spend with his new-born son, Jake and his wife of three years, Amelia. But as Lloyd concedes, domestic bliss also has its ancillary benefits - especially for a songwriter with a studio out the back who's set to commence recording for his fourth album in a few days time in Seattle's London Bridge Studios. "I've had plenty of time to write this record which has been a really good luxury compared with my previous albums", he says. "This time I've been writing in my own space instead of writing in hotel rooms. So although I haven't even started recording, already the songs feel more finished". In many ways, the new album - which at this stage should be released in the fourth quarter of 2005 - marks a new beginning for Lloyd. He has a new record label (SONY BMG), new management and a new family, and says the songs he's penned reflect the changes that have occurred in his life over the past few years. "There's a lot of emotion involved. In a way, I see this album as being about having a new family and losing an old one". The new album will be produced by Rick Parashar whose production credits include Pearl Jam's Ten, Alice In Chain's Dirt and Blind Melon's debut. On first glance it seems an unlikely pairing but if you strip back those albums you'll find songs full of raw emotion and inventive arrangements. And that sounds like Alex Lloyd. Parashar was actually classically trained in India, and for Lloyd, the perspective that brings is important. "This is a new beginning for me. I'm after something different and Rick offers me that. I want to work with people who are fresh and have a fresh approach to the whole Alex Lloyd thing. For the first time in my life, I don't have any expectations except to make a great record. I'm not trying to predetermine the style. I'm taking 16 songs with me, I'm in Seattle for two months and hopefully I'll write a lot more". "So I guess it is pretty important to me but other records I've made I haven't been unhappy with..it's just been a different approach..and I just feel I've come full circle back to the beginning again." 2) Alex Lloyd, an electronica musician from Oxford, England, who is signed to the independent record label Ninja Tune under his alias, Prdctv.